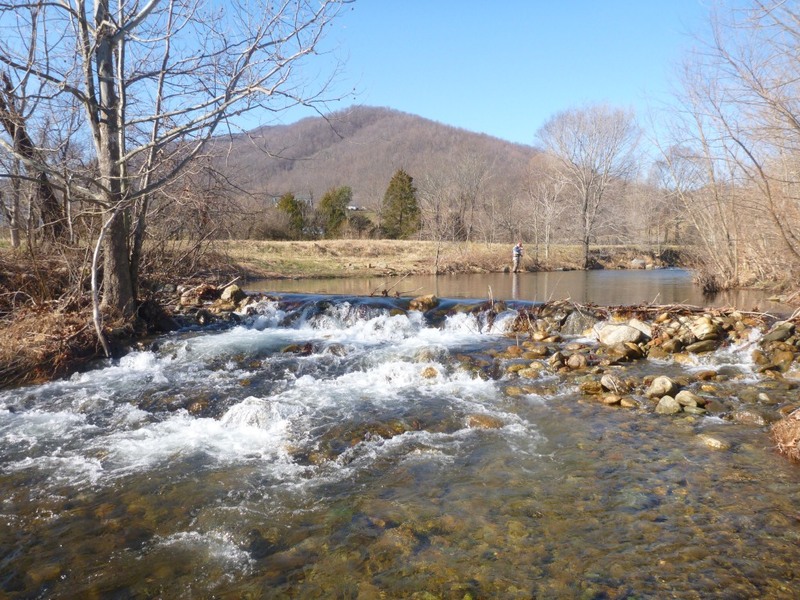 Just a few miles away from where I stood on the banks of the Rose River, President Herbert Hoover fly fished on the Rapidan River in the foothills of the Blue Ridge mountains in southern Appalachia to escape a depressing Depression. 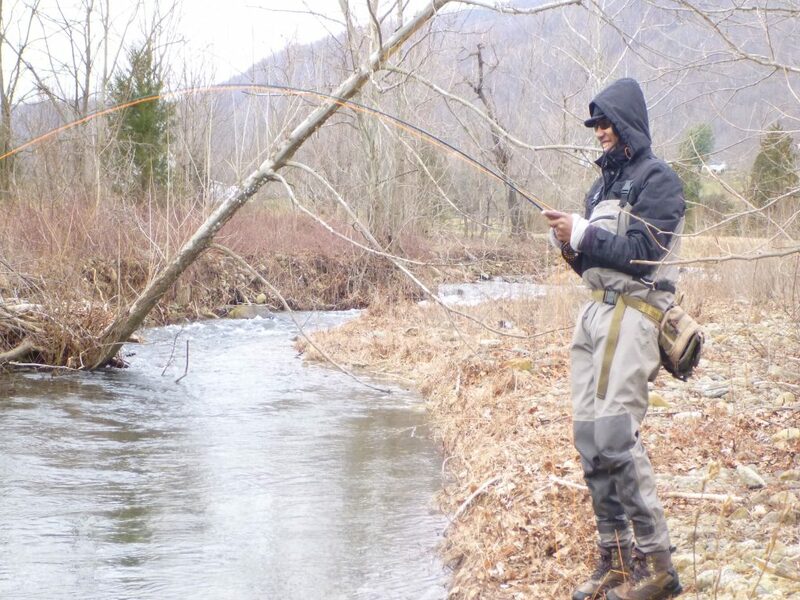 In the small feeder streams to the Rapidan, Hoover cast for living jewels, brook trout, most no more than 6 or 8 inches, and a trophy, just about 12 inches. And nearly 80 years later, I was escaping the crush of the inauguration of our 57th President. 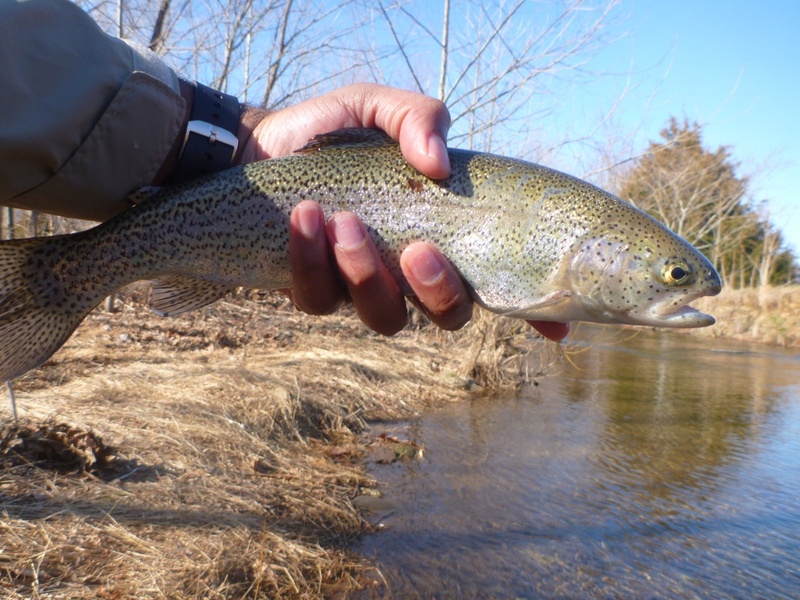 I’d come to cast on the subtle and sweeping Piedmont to rainbows nearly twice the size of Hoovers speckled trout. 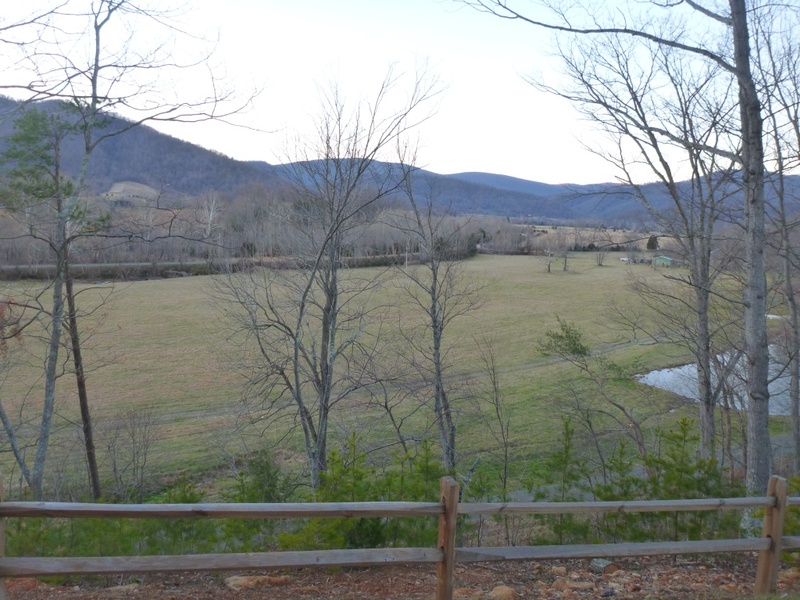 Rose River Farms is the beautiful and understated brainchild of Douglas Dear, conservationist, entrepreneur, farmer, vintner, and chairman of Project Healing Waters. 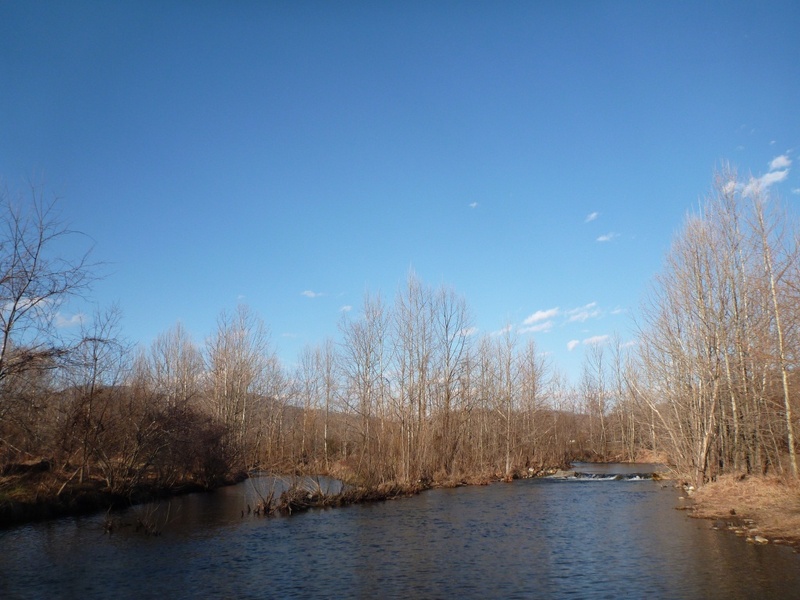 Its a sylvan mile of private fishing with easy access and very well-managed riparian borders and endless trout pools, and it is no push-over. 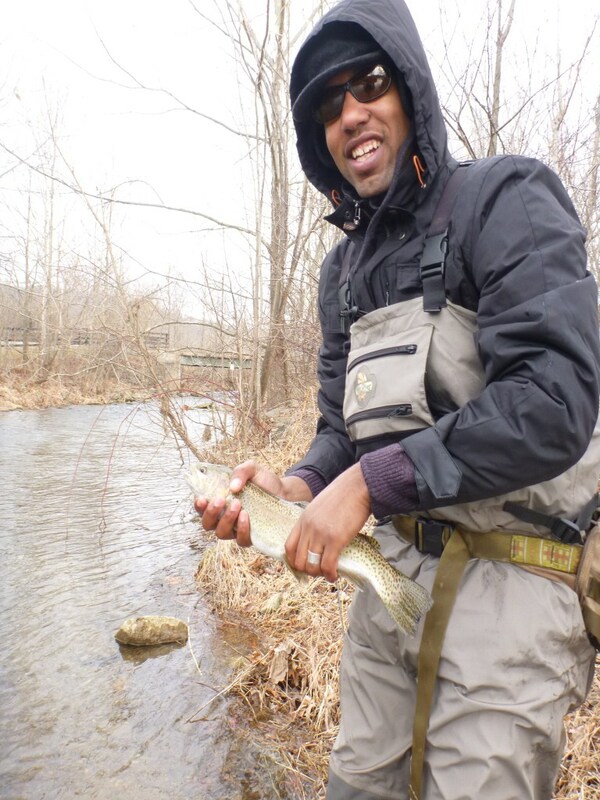 Educated would be an understatement, Rose River’s wild rainbows, browns and brookies have graduate degrees. They’ve seen it all in one-fly and two-fly tourneys and through the parade of upwards but no more than five rods a day year after year on waters most often no more than twenty to thirty feet across. 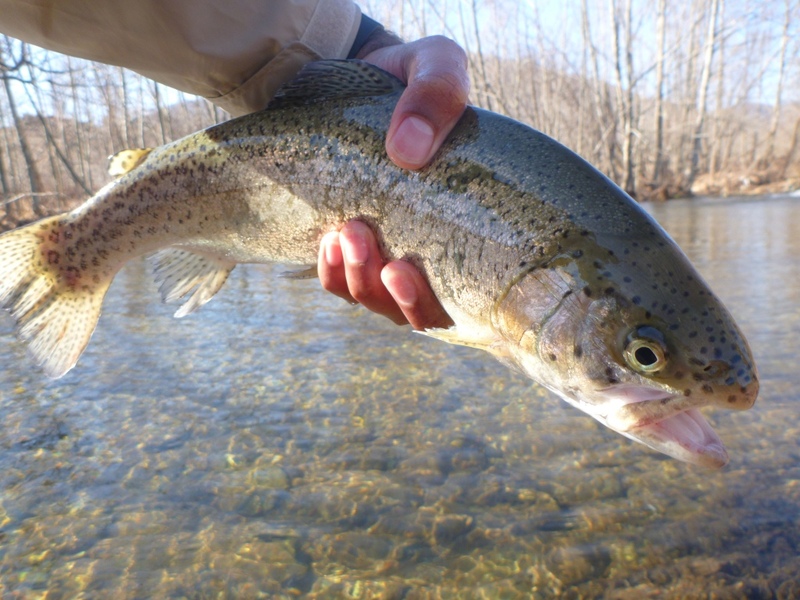 The water is cold, clear and pristine and the trout can spot you for miles. 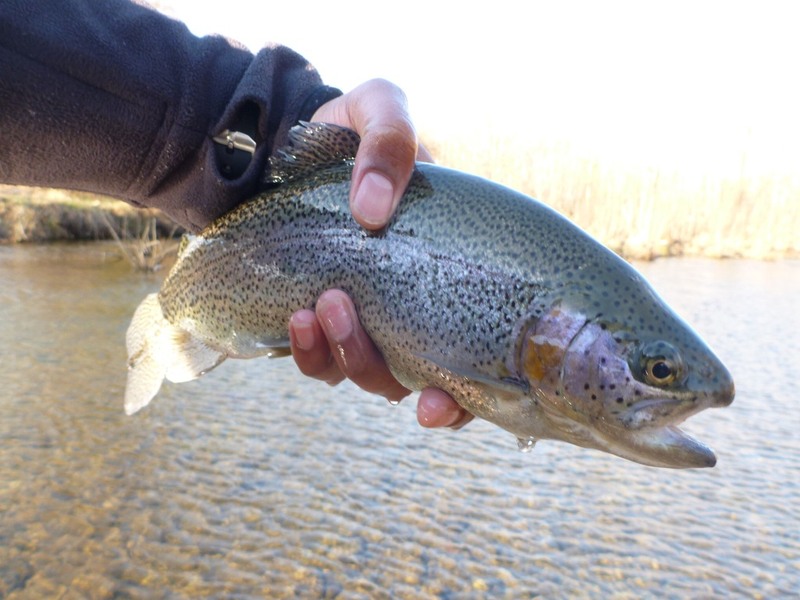 That being said, after careful scouting and recon, I managed to unlock the keys to hook a few, but not after underestimating the ferocity of the rainbows, realizing that 5x though necessary during delicate dry fly presentations, was useless on the vicious grabs of subsurface fishing. I quickly moved to a 1X leader tapered down to 4x for all my nymphing. A couple of holes I learned to call “don’t bother” because though they were rising to #20 emergers in molasses-slow tailouts, they naturally held the big’uns, the kind of fish you have to earn a shot on your SECOND visit. Eventually it all clicked, of course, they wanted green scuds, of course, they wanted a #18 humpy, bet they’d never seen that before, of course, they’ll hit my “fly formerly known as prince” nymphs, doubt they’ve seen those before too! And in the bright glare of a clear sky, of course, they’d hit a #18 adams if they were rising in the fast water. 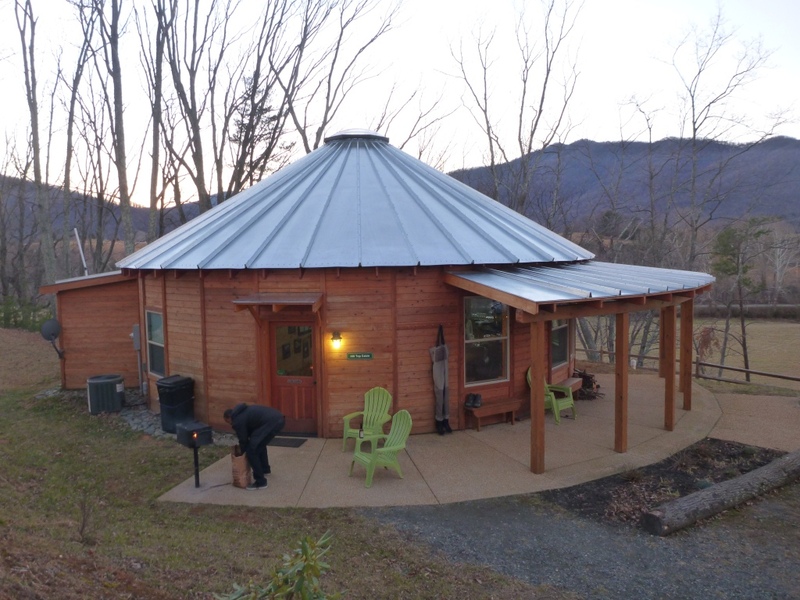 So, having the luck and good sense to sign-up for two days of fishing, I went back to the cabin, I mean “yurt,” and tied-up some more of everything. I even gave a few scuds away on the river the next day I was so proud of figuring it all out. 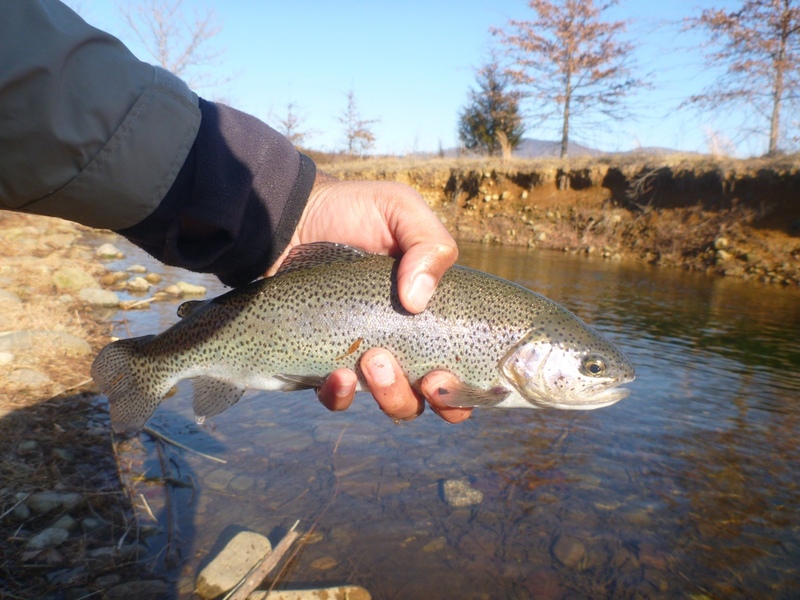 It didn’t matter that the trout would have nothing to do with the same flies the very NEXT day requiring me to figure it all out again, which I secretly hoped would happen and delighted in. What a river, what a weekend of fishing! The companionship of my brother and handful of anglers made it sociable, but never crowded. Taking turns at holes, catching fish and maneuvering them to the shallows so as not to disturb the whole pool became an art form. 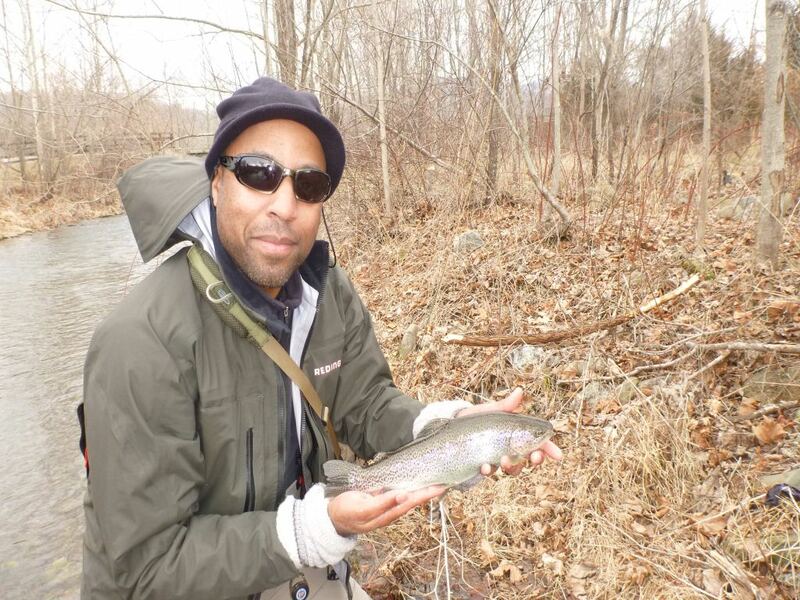 My largest fish, a jumbo rainbow caught me unawares and without a netman, and took me fifteen minutes to subdue him and all the time fighting to keep him from going over the rapids down the near the rock wall (visitors will know what pool I’m talking about). He jumped not once, not twice, but by my count 10 times in an effort to shake the hook. 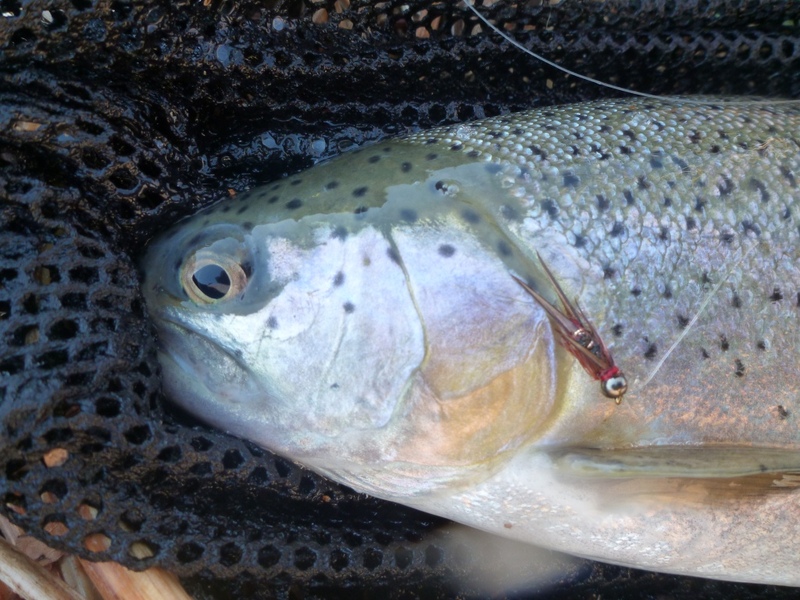 And catching them on flies that I had tied myself seemed to complete the cycle in a way I’ve never experienced before. Even in rest, I took long turns not fishing, and just watching the trout be themselves in the pools and runs. 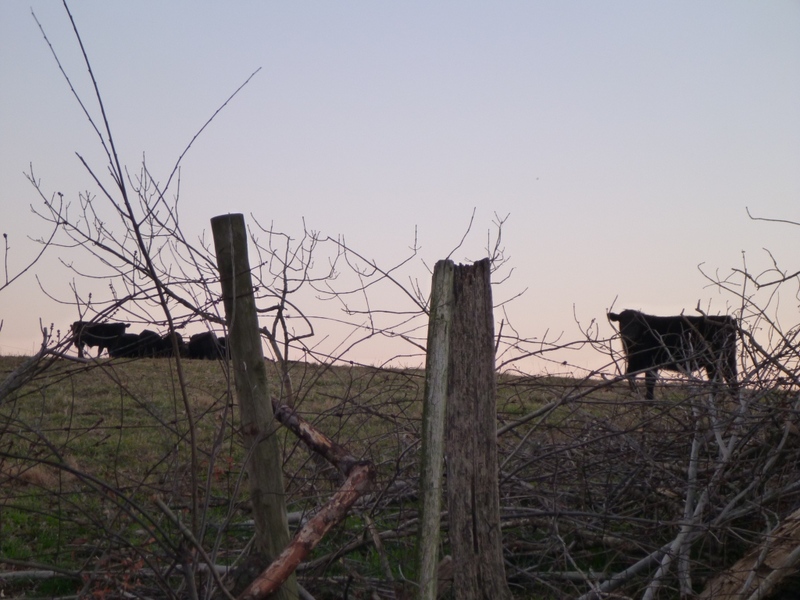 In the evening, as I looked out the windows of Hilltop Cabin and watched the setting sun over the Blue Ridge, or in the mornings, when I spotted a bald eagle slowly making his way up the valley and downriver, I felt as if I’d come home. 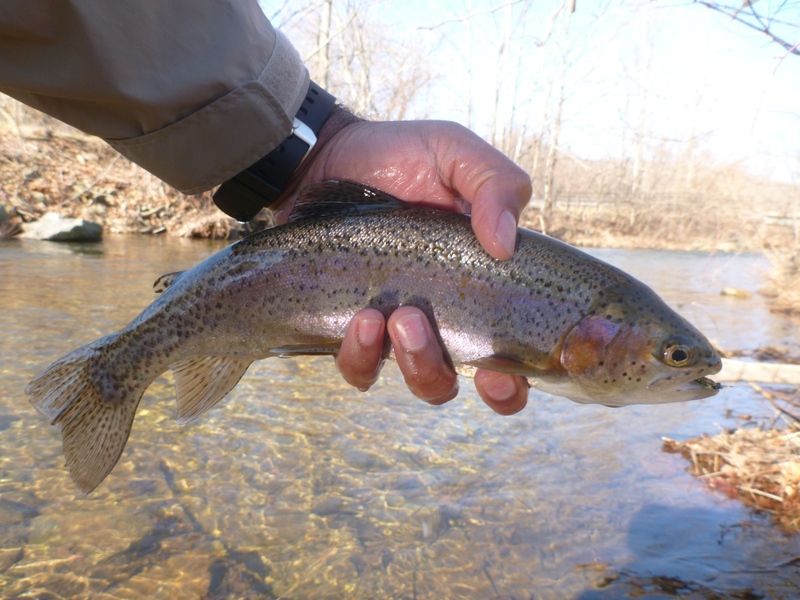 Rose River Farms isn’t just camp or a retreat, Mr. Dear has reached into our imaginations for the perfect trout stream, in the perfect valley, and brought it forth from the wilds. I simply can not wait to return.